I would like to take this opportunity to thank one of your colleagues, Connor Deegan, for his dedication in completing his work study program with Work Visa Lawyers. Connor executed a diverse array of tasks that made him a valuable contribution to my business, and to the work of the Migration Institute of Australia (MIA). Throughout his placement, Connor was dependable, motivated, and demonstrated thorough attention to detail. One of the more extensive projects Connor was tasked with was drafting an industry submission to a parliamentary Inquiry. This undertaking showcased Connors ability to identify and summarize key points from within vast amounts of information. He was also able to prove his abilities by respond to instruction, demonstrating initiative, and meeting deadlines. Upon completion of Connors work placement, we came to the realization that there must be missed opportunities for both Work Visa Lawyers and students aspiring to become lawyers. Who is Work Visa Lawyers? Our founder and Principle Migration Lawyer, Chris Johnston, started his career in civil litigation where he was a part of a legal team in an important, successful precedent setting case in the Supreme Court. Chris then moved his focus towards the immigration sector and began working with the largest migration advice businesses in South Australia. In 2011, Chris founded Work Visa Lawyers and has since been voted the SA State President for the Migration Institute of Australia (MIA), as well as being appointed as a Director on the National Board of the MIA. For those who don’t know, the MIA is the peak professional body for registered migration agents and immigration lawyers. To find out more about Chris Johnston and WVL click here. What Work Visa Lawyers Can do for You! Work Visa Lawyers is a hands on and progressive firm that wants to give back to the local law community. We believe that there are many ways WVL would able to enrich the lives of Adelaide’s future lawyers; from being a reference for your assignments to possible work study opportunities. Being that Chris Johnston is the MIA president and on the national board of directors, Work Visa Lawyers has their thumb on the pulse of not only the latest migration news but also upcoming news. We strive to give the most reliable up-to-date information to the public by providing weekly updates on our website for everything from what’s happening in Home Affairs to tips on how to migrate to Australia. While many other firms have the same goal, we are one of Australia’s most active firms on social media. We provide daily updates on Twitter, LinkedIn, and Facebook which means you no longer have to scour the web for the information you need. For those of you who prefer to listen, we also have a YouTube page with over 20 videos and counting. Click here to see our articles. Due to Work Visa Lawyers commitment to providing the best information for our clients and the public all of our articles are highly researched and then revised by Chris Johnston himself. Moreover, all of our articles are citied, thus, we encourage students to use Work Visa Lawyers as a tool when completing your assignments. Being that English may be many of our reader’s second language, we aim to write our articles in the most comprehensive way by using simple linguistics and easy to scan headings. With that being said, the links to all of our findings (most often direct sources) are embedded within every article. This means that all you would need to do is go onto our website and search for your query. At this point you will then be given our summary of the topic and the link to the original detailed document. Click here to see an example of our most recent article. Work Visa Lawyers offers work experience placements as well as internships that are focused around building your professional resume and experience. Unlike other firms, the student is not subjected to coffee runs, instead the candidate will work alongside experienced immigration lawyers and RMAS ensuring that they receive the wisdom and understanding to be a successful lawyer. Unfortunately, we currently have a limited number of positions due to an influx in applications. As you may already know, with the GDLP and other driving factors positions have become very competitive. Thus, Work Visa Lawyers will be looking for other exemplary candidates like Connor Deegan. 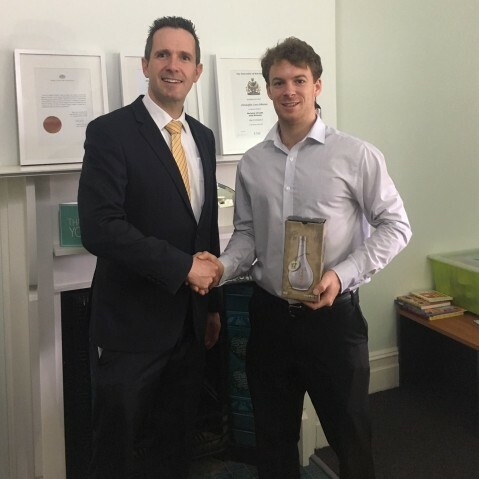 All in all, we would like thank Connor Deegan for being a reliable, driven colleague that embraced responsibility and executed all tasks with exceptional focus. It was a pleasure to meet you, and I sincerely hope that your experiences at our firm were engaging and valuable. Going forward, if you are interested in a similar experience that will give you the opportunity to grow your resume and professional skills please do not hesitate to reach out to us. Whether or not you choose to further your career with us, we would like to keep you up to date in current matters, along with supporting you through your academic careers.